Meta Media Inc. Partners in Site Design, Branding, Video Marketing, Photography, Image Enhancement & More MetaMedia, Inc.
As the experts in online marketing, Meta Media, Inc. relies on different partners in the space to ensure you get the most out of your relationship with us. We are your "one-stop shop" when it comes to site usability, branding, design and marketing your site, and our partners allow you to get all these services without the aggravation that comes from relying on multiple vendors. 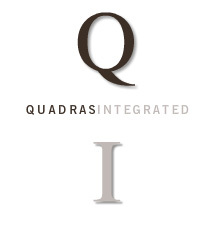 Quadras Integrated specializes in site design, photography and online videography for websites and video advertising. BrandExx specializes in product, service and company branding, along with brand awareness and image enhancement. ShopVisible provides integrated e-commerce platforms to help clients better update site content, vendors, partners and more to maximize site performance.